Society can be divided in to two types of people. Those that take the pickle off the hamburger and those that don’t. I am most certainly one that does not. Maybe it has something to do with my Pennsylvania Dutch blood that predisposes me to like anything pickled but I really I love pickles. 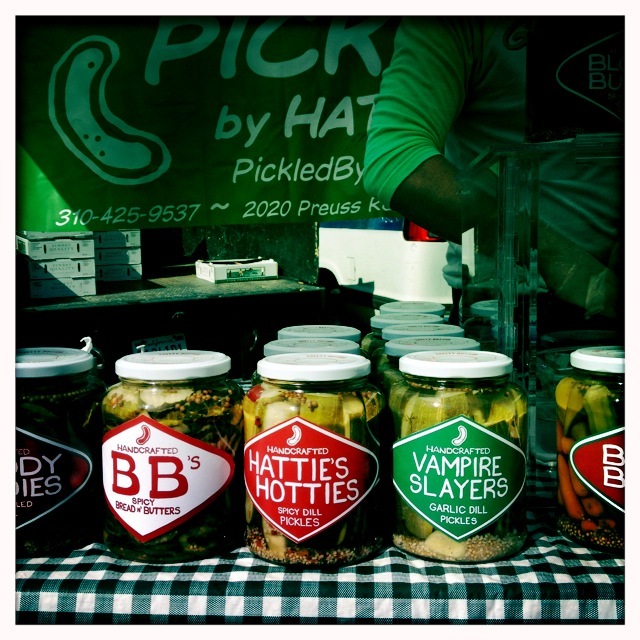 When I was at the Hollywood Farmers Market this weekend, the Pickled By Hattie stall caught my eyes. Normally situated in the Spice Alley section of the market, this week they stood out in contrast the the fruit and vegetable stalls that surrounded them. There are a good number of artisan products available at the market but I think this was the first time that I saw artisan pickles. A variety of pickles available on the stall, most of which were spicy. Sadly, I am a wimp when it comes to spicy. Spiced is a great thing but spicy not so much. My heat boundaries have been pushed back since moving to California but I am still not going to be actively buying something labeled as hot and/or spicy. Being spice-challenged, those varieties of pickles from Pickled By Hattie were out for me but what did grab my attention was the ir Vampire Slayers pickles. Garlic and pickles? Jackpot! When they say garlic, boy do they ever mean it. 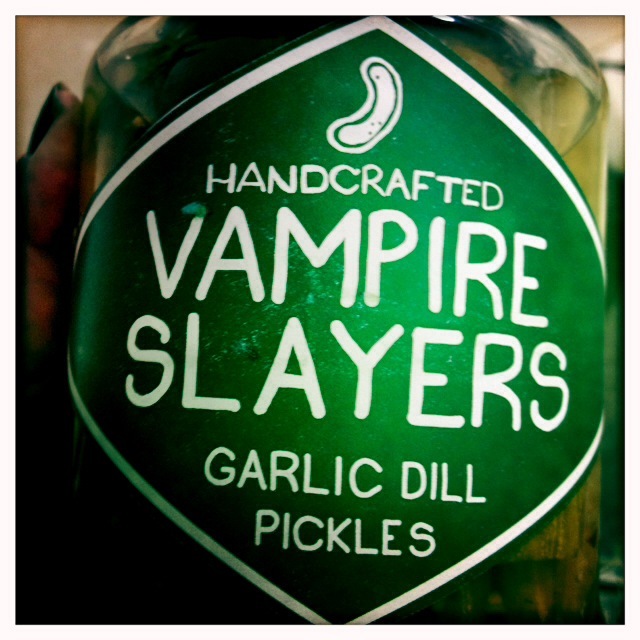 My nose was twitching like Samantha as soon as I popped the lid off the jar of Vampire Slayer pickles. It was great to look into the jar and see real ingredients such as herbs,garlic and even a lone whole chilli floating around. It gave me the impression that I was truly getting a handcrafted product rather than factory produced in faux rustic style. There are few things as sad as a limp pickle, right? Not an issue with these super crunchy pickles. 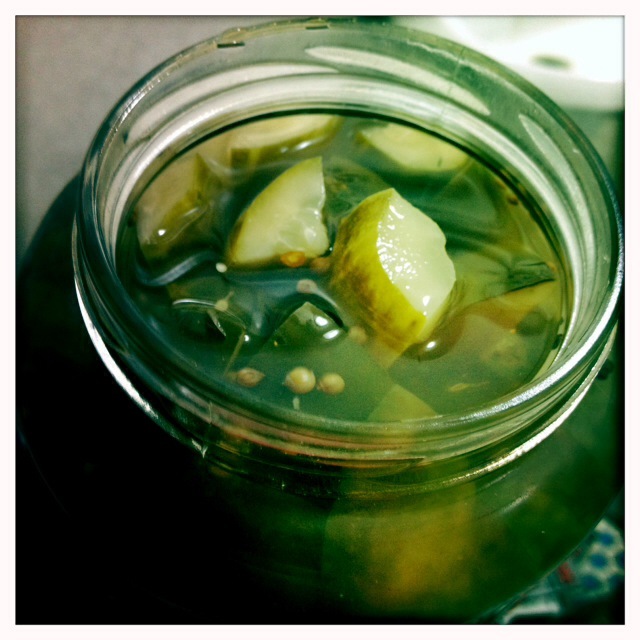 To say that the Vampire Slayer pickles were bursting with flavor would be a massive understatement. Immediately, my whole mouth was tingling from the intensely zesty garlic. The chili took my taste buds to the edge of too much spice but managed to still keep it pleasurable. These aren’t a pickle that you are going to forget moments after they have been eaten. That flavor bomb of garlic and spice stays with you. That is good for your taste buds but does mean that you probably do want to have a stick of gum ready. Unless the person you speak to next particularly enjoys the smell of garlic breath. At $12 a jar, there is no pretending that the Pickled By Hattie Vampire Slayer pickles are the cheapest around. 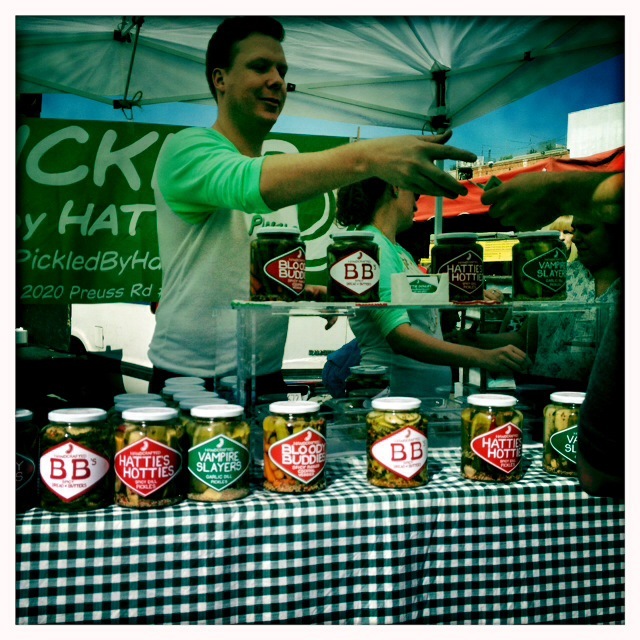 However, the jars are big,the pickle spears substantial and they are the best pickles that I have had in a long time. 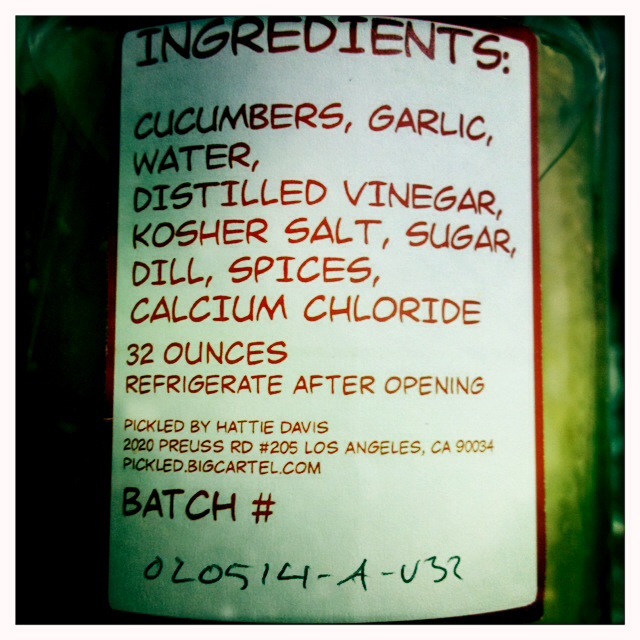 This entry was posted in Foodie and tagged Hollywood, Pickles, Product Reviews, Vegetarian. Bookmark the permalink.